This Michael Jackson Tribute show is Australia’s Number 1, Melbourne based, award-winning after dinner and cabaret show fronted by Paul Rizo, the 3-time undefeated Australian Michael Jackson Dance Off champion. Paul's Jackson impersonation & dance moves are superb, his costumes are authentic, the backing tracks are studio quality and his dancers and crew are hand picked. 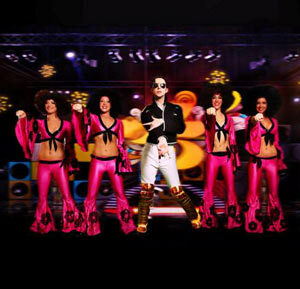 Paul is ranked as one of the top 15 Michael Jackson impersonators in the world by America’s BET. 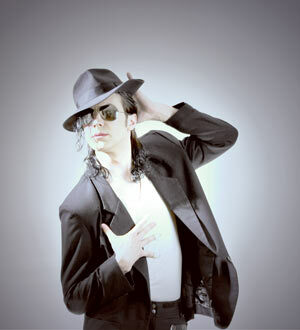 The JACKSON MAGIC dance / tribute show featuring PAUL RIZZO & his sensational dance team is simply the finest Michael Jackson tribute / dance show available . The full show features up to 30 studio quality shortened or mixed Michael Jackson tracks which are bought to life with an electrifying light show & high energy dance routines! This show features the team's award-winning performances from various MJ Dance Off contests and also includes the famous ‘Smooth Criminal’ 45° lean! The Jackson Magic show is packed with excitement and relentless entertainment via high energy music, costume changes, flawless routines, brilliant light show and the MJ-famous special effects. The Jackson Magic show is performed to lip synch utilizing original Michael Jackson tracks, and never fails to leave the audience absolutely spellbound! All major Michael Jackson songs are covered from ‘Off The Wall’, ‘Thriller’, ‘Bad’, ‘Dangerous’, ‘HISTORY’, ‘Blood On The Dance Floor’ and ‘Invincible’ albums as well as some brilliant rare tracks. The first YouTube clip is Paul performing at a New Years Eve 2011 in Melbourne. The second longer YouTube clip is Paul performing at Campbelltown, NSW, Australia. Both clips have been recorded live which is reflected in the sound quality. A typical full show set list consists of the following songs and runs for approximately 90 minutes. A shorter show of 30 minutes is also available.